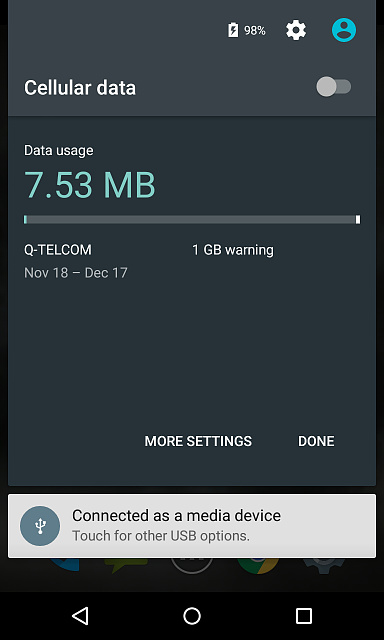 On my Nexus 5 Lollipop 5.0, why am I getting a mobile data usage warning if I only use wifi? I'd first like to apologize if I'm the 100th person to ask the same question, but I also have a problem with Mobile data usage warning icon. I was browsing the forums and have tried many things but didn't manage to resolve the issue. I just want to let you know I don't use mobile data at all (only wifi) so the warning is just a unecessary small thing. I tried turning it on/off, moving the limit bars up to the 3kGB and still, the warning sits there. I also tried restarting the phone, didn't work. I wanted first to ask you guys here before contacting support in a hope that someone knows how can i remove the warning. Thank you all very much, any help is much appreciated. edit: I just noticed when I turn on wi-fi the warning disappears, which is good, but I'm not connected to the wifi most of the time so the issue still stands. 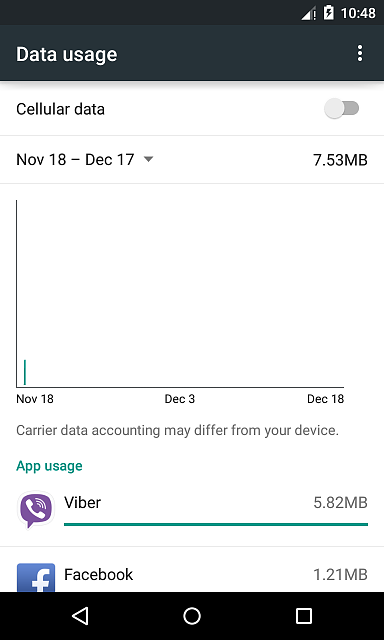 Have you actually disabled mobile data? Hello, the same problem for me, i use a Nexus 4 with Android 5. A data usage warning sign appears, when the phone is not connected to internet (Wifi or 3G). If I connect it to WiFi or 3G, it disappears. 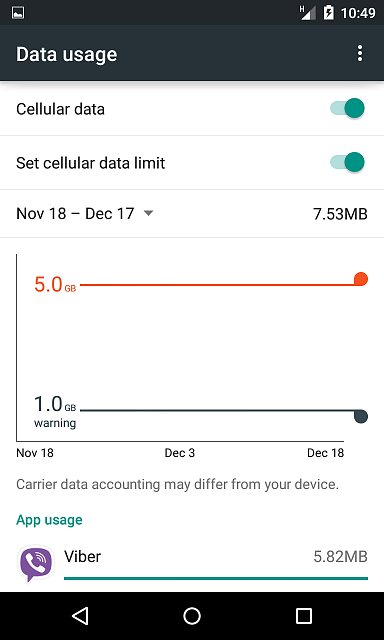 In the data usage settings there isn't an option to turn it OFF. It can be an Android 5 bug and need to wait for an update, but If anyone know the solucion for it, please write it here. Thanks. It is not a warning per se, not a bug, and does not require a solution. The exclamation mark simply provides a visual indication that you do not have an active data/internet connection. 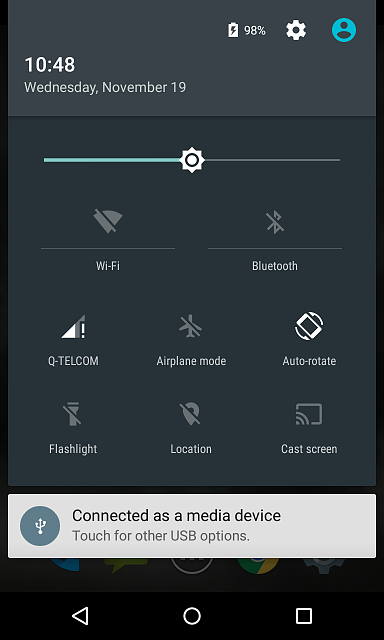 So this exclamation sign appears to everyone on Android 5 when is not connected to internet? My opinion is, that this exclamation sign is a fault. There are already signs in that bar when the phone connects to WiFi or 3G, so why do the user need to have another one for offline use? Anyway hope there will be a way to remove it, or it will disappear in the next Android update. Thanks N4Newbie for the answer. 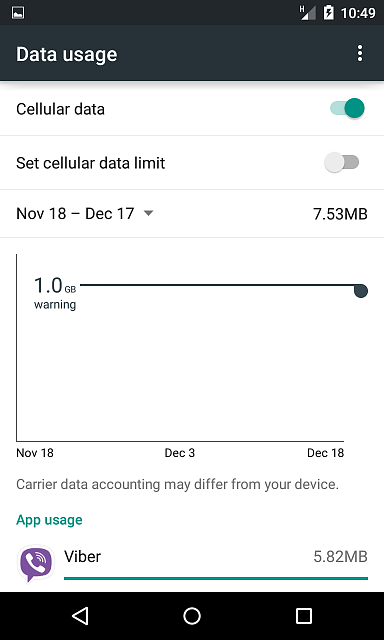 The data usage warning appears as an exclamation mark on the left. It did in KitKat and it still does in Lollipop....I just tested. I had the same exact issue happen last week a day or two after updating to Lollipop. I was also in areas where data is in fact available. 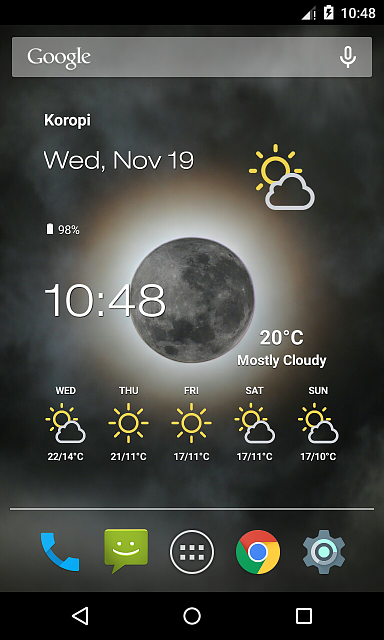 Toggling data, airplane mode, powering off/on, etc. also did not resolve the issue for me. I'm on Sprint, so I updated PRL and Profile, still nothing. Eventually data returned and the warning disappeared. Not sure what was going on, and didn't do anything special to fix it (I waited it out), so perhaps it'll eventually go away for you very soon. 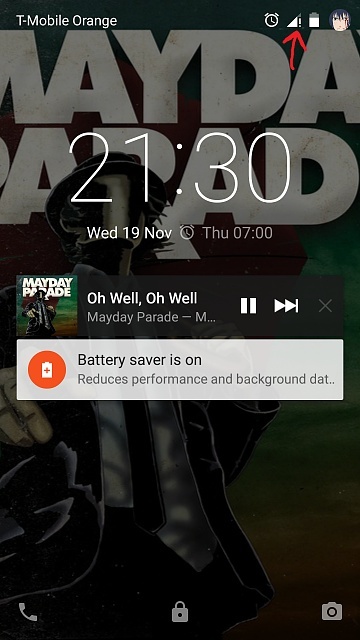 My Nexus 5 was showing this message and I noticed that I had Data. So I went to Settings> More> Cellular Networks> Preferred Network Type an selected 3G as there is no LTE in my area (it was defaulted to LTE) and this sign disappeared. I get this exclaimation mark when trying to connect my Nexus 5 to my canon camera's wifi. I used to be able to access photos on the camera via the canon app, but now when i try connect they fail to read each other. I tried connecting via a friends older Samsung Galaxy and the app worked. Any ideas what the problem could be? Why am I not able to check/uncheck Restricted Background Data?